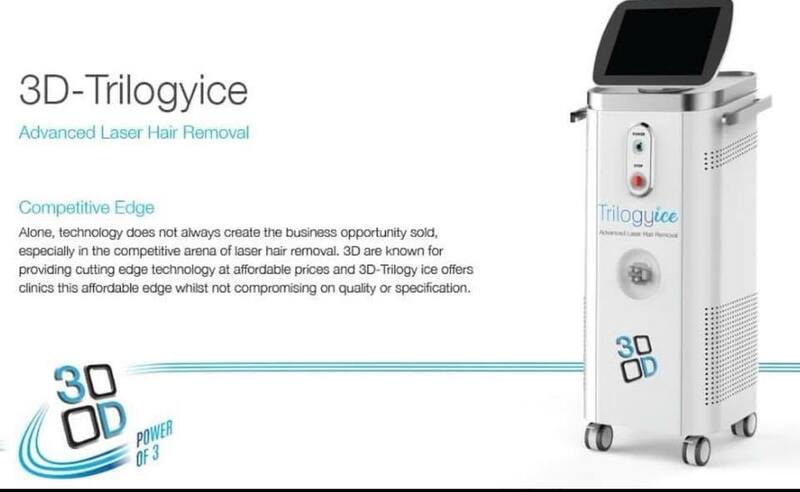 The 3D TrilogyIce Laser Hair Removal System! Natalie Faulkner, salon owner, is bringing something new Beauty Withinn! We would like to introduce to you the 3D TrilogyIce Laser hair removal system. Natalie has kept her dream going and just shy of her 42nd birthday and she can finally reveal that the salon is extremely proud to say that it will be offering full laser hair removal for women and men. “Once my therapists and myself have completed the training for laser hair removal, we will be fully qualified at level 4 which will put us the ultimate top level NVQ therapists. We aim to be up and running 1st November 2018”. This is a 100 percent 3 wave length laser. Its multiple layer wavelengths allows operators to treat the widest range of patients and hair types all year round. The laser performs treatments quickly and comfortably whilst achieving the best clinical results. “I have personally done a lot of research into laser treatments and only want the best for our customers. What works, is safe, affordable but most importantly pain free”. All treatments will be subject to consultation prior to the appointment at no cost. This will be available from the 1st November 2018. We will need models at a reduced rate. If you are interested please feel free to message us and get booked in for a consultation.